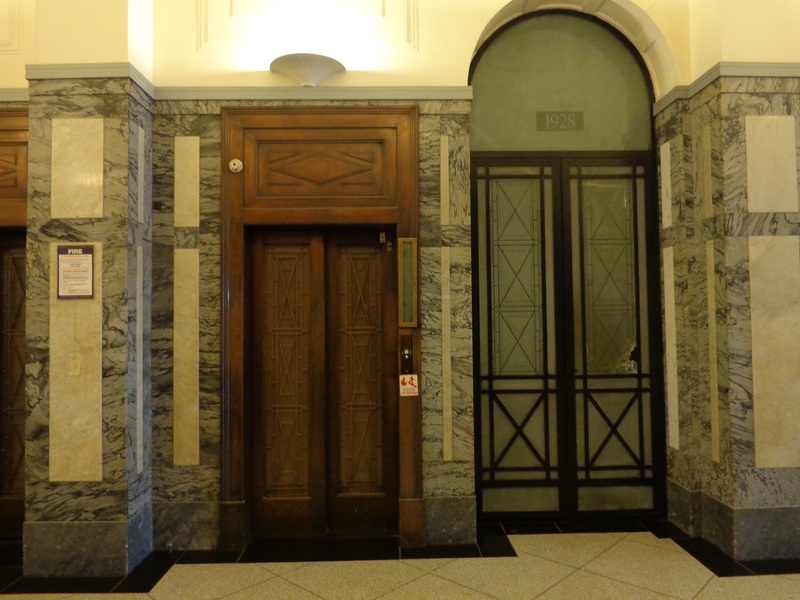 This building in central Wellington is listed by Heritage New Zealand as Australian Temperance and General Mutual Life Assurance Society Limited Head Office (Former)), Lambton Quay. It is commonly known as Harcourts Building. 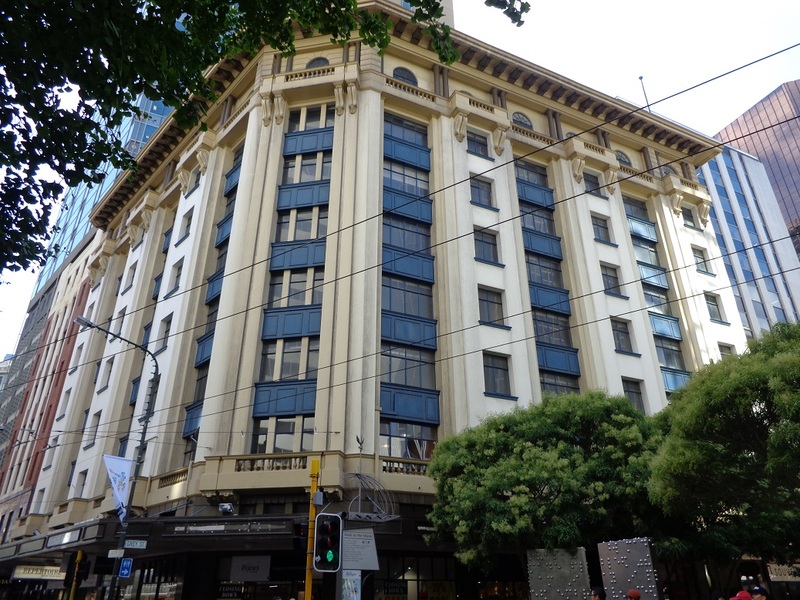 This Category 1 landmark building on the Lambton Quay/Grey Street corner, built in 1928, was the subject of a resource consent application by the owner to demolish the building and replace it with a tower block. Although built to the highest standards of its day, Harcourts had recently been declared an earthquake-prone building, and remedial works will be required if it is to be preserved. July 2018: We are pleased to say, the building was strengthened and refurbished and is now being used as a Hilton Hotel. It is a good example of what can be done to save a heritage building (see below for photos). HPW made submissions to Wellington City Council that the application be declined, and other options for retaining the building be considered. The resource consent application was heard in late December 2012. HPW committee members presented evidence along with other organisations and individuals opposed to demolition. The application to demolish Harcourts Building was declined, but the owner appealed this ruling to the Environment Court. At this hearing, our committee member Peter Dowell appeared as an expert witness for the NZ Historic Places Trust who were opposing the appeal. The Environment Court upheld the commissioners’ decision and disallowed the appeal. However the owner appealed that decision (on points of law only) to the High Court and the High Court ordered the Environment Court to rehear the case to demolish the building. The Environment Court once again declined consent and the owner subsequently announced that he will retain ownership of the building and will carry out the strengthening work required. For more information, the Autumn 2015 issue of Heritage Quarterly (published by Heritage New Zealand Pouhere Taonga) discusses the building and the case on pages 1-3.